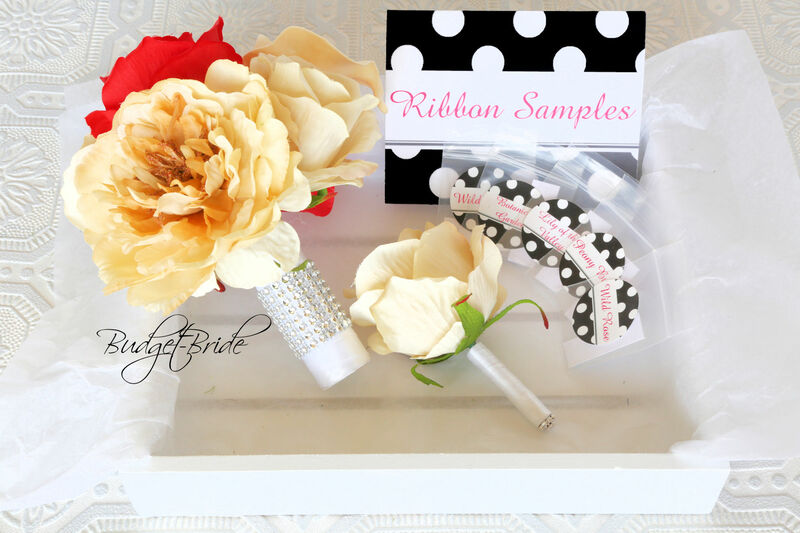 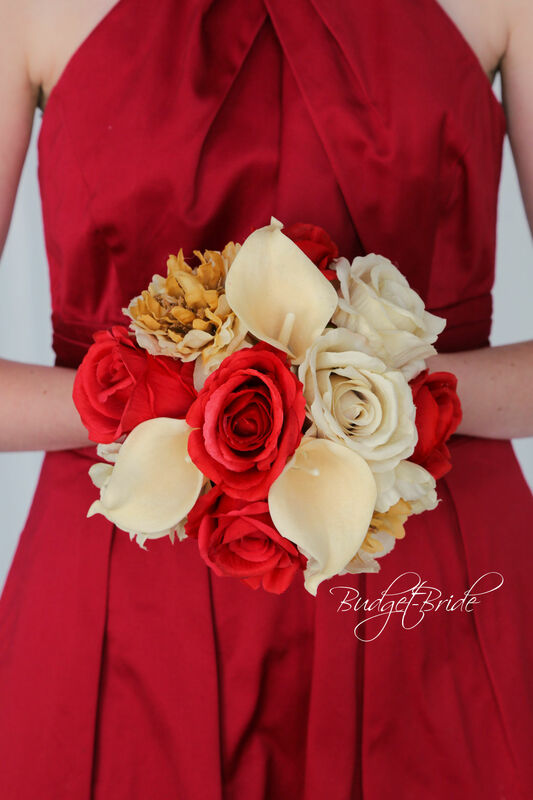 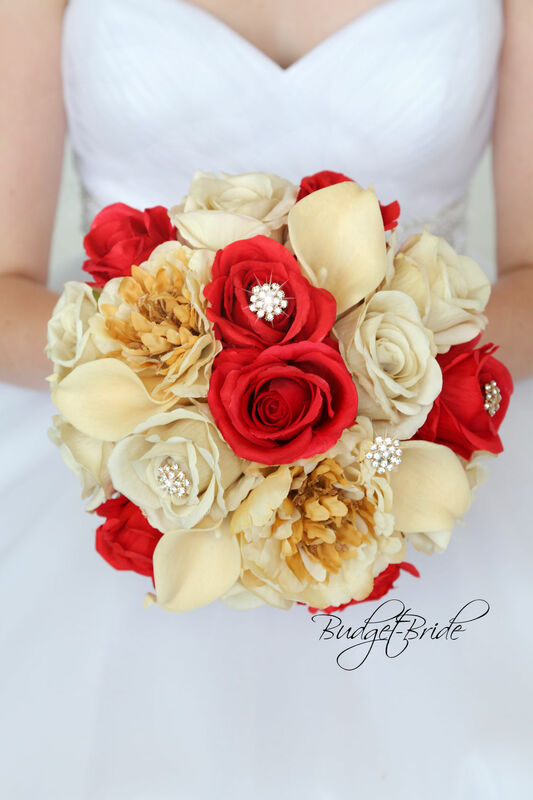 This matching bouquet is a 6 inch round bouquet with a mixture of beige peonies, beige roses, red roses and cream cheese calla lilies. 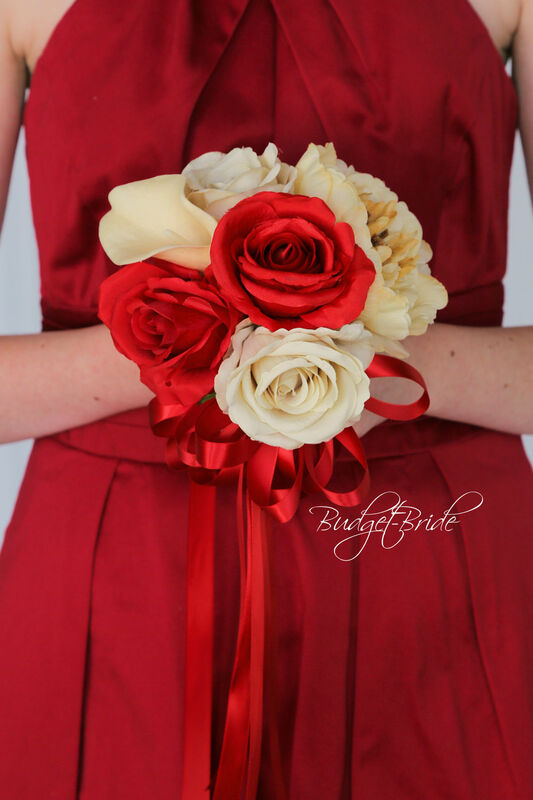 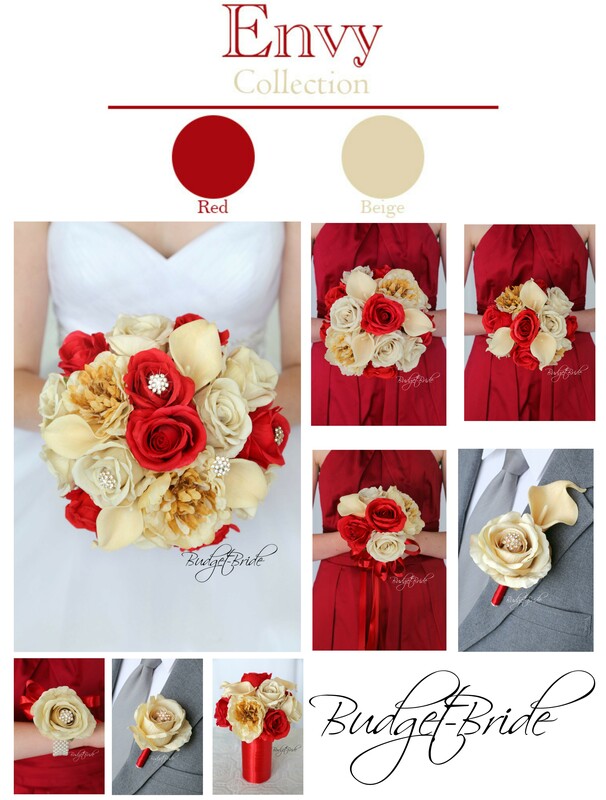 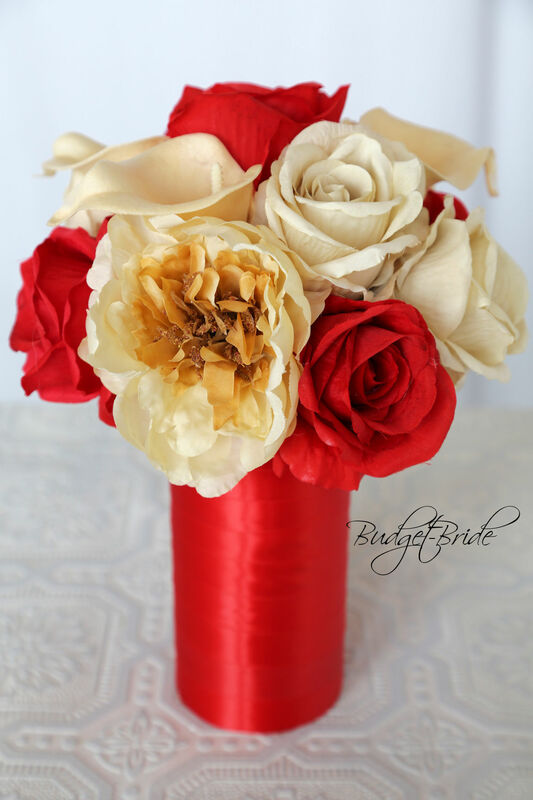 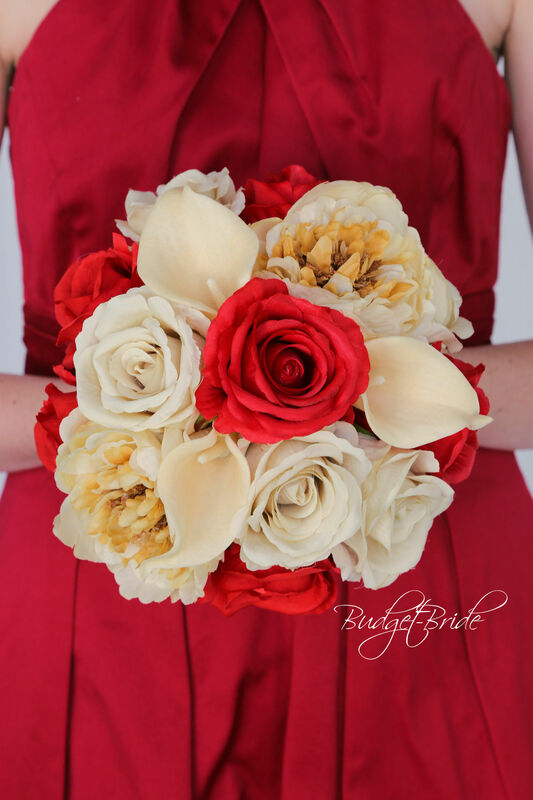 This is a matching bouquet approx 4 inches with a mixture of a mixture of beige peonies, beige roses, red roses and cream cheese calla lilies. 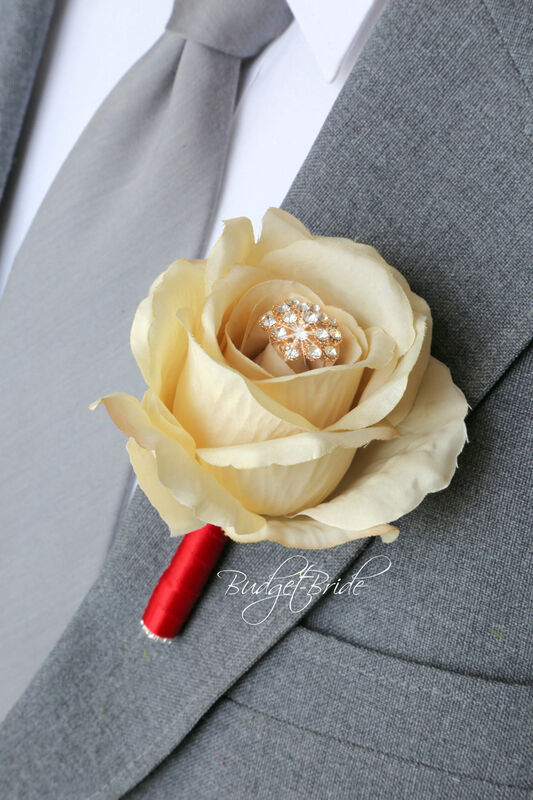 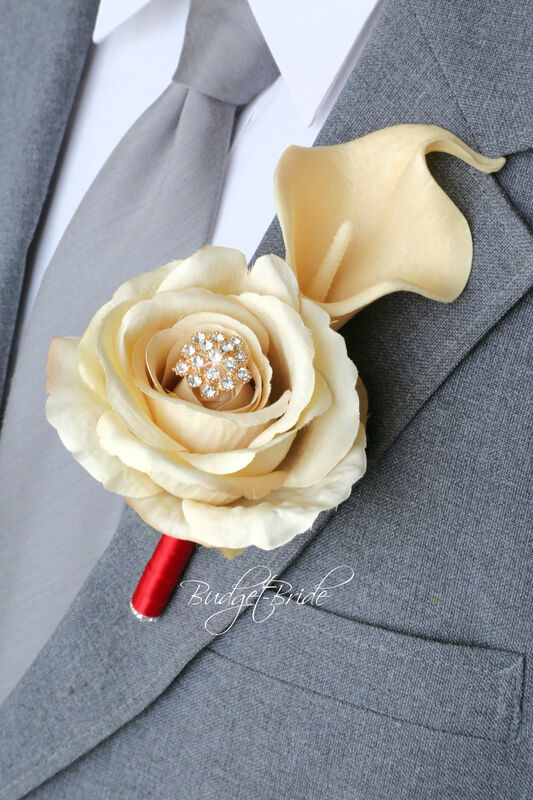 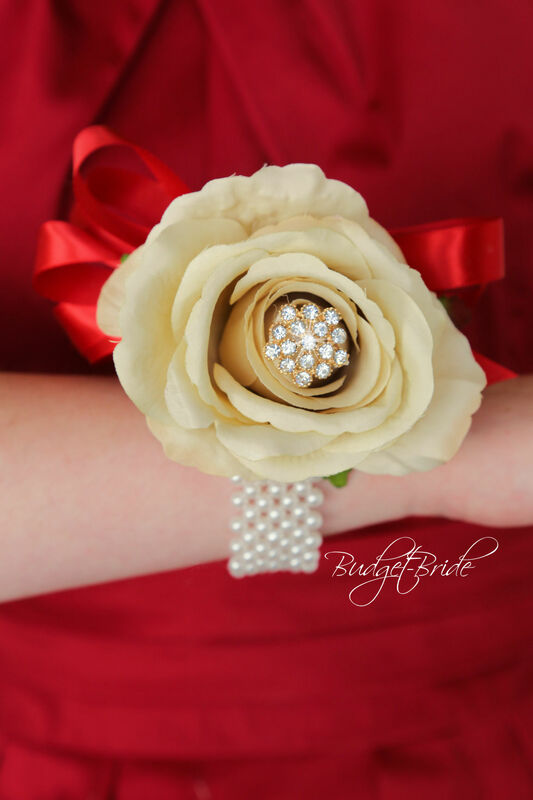 This matching boutonniere contains 1 cream cheese calla lily and 1 beige rose with a gold jewel in the center and stem wrapped in ribbon.